Generator Maintenance from Titan Power, Inc.
Did you know Titan Power provides comprehensive and cost effective stand by generator services? 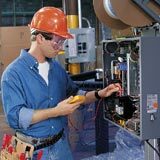 We provide maintenance and repair services on most major brands including Caterpillar, Cummins, Katolite, Kohler and MTU Onsite Energy. Repair Services: Titan Power offers personalized service to facilitate repairs and modifications to your emergency generator. Count on our trained and certified technicians for expert service, troubleshooting, quality parts, and power systems support. Emergency Dispatch: Titan Power provides emergency on-call dispatch service for situations that require immediate action. Simply call our 24/7 Emergency Dispatch Center at 1-800-509-6170. This entry was posted in Back-up Power Industry, Company Misc., Facility Maintenance, Mission Critical Industry and tagged Arizona, Arizona Customers, Crytical Systems, Emergency Power Systems, Mission Critical, Organization, Titan Power, Titan Power Inc. Bookmark the permalink.